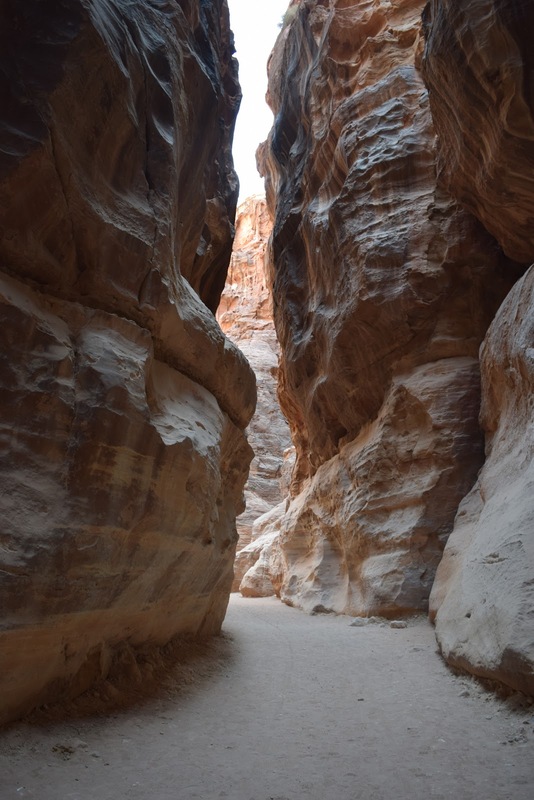 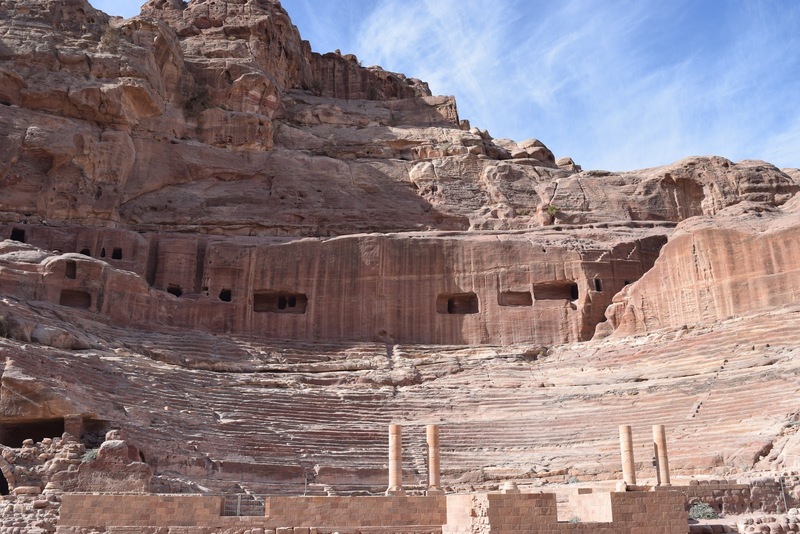 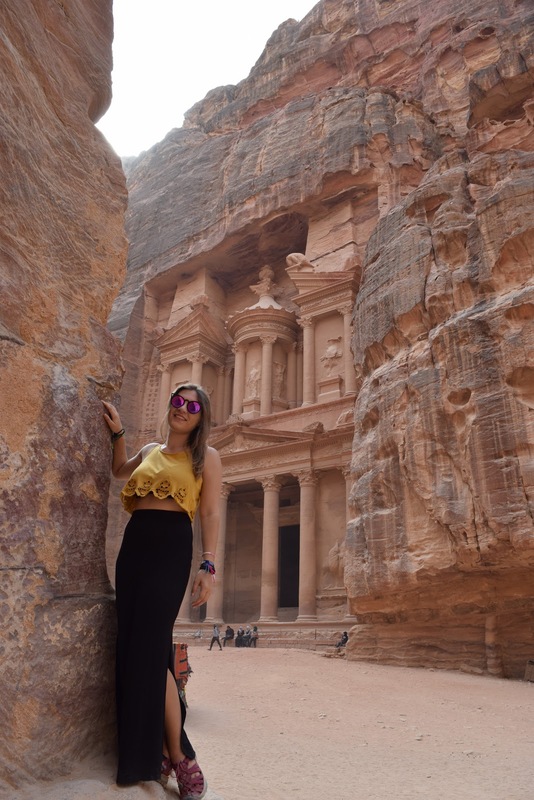 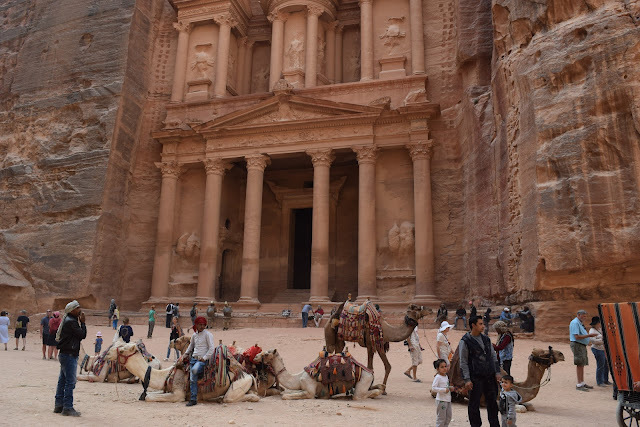 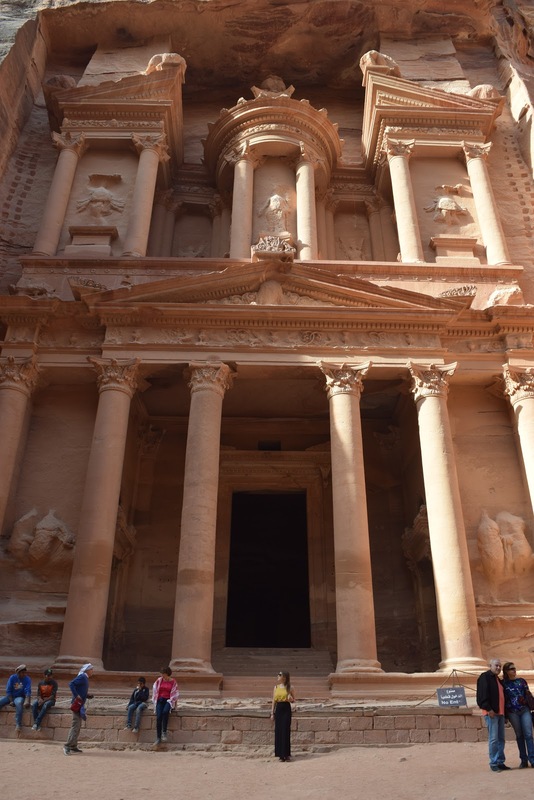 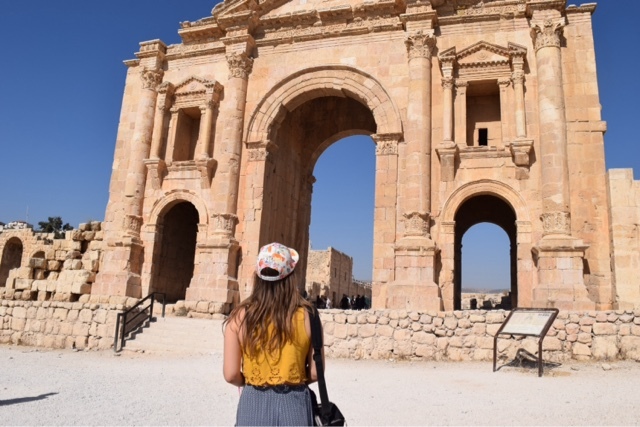 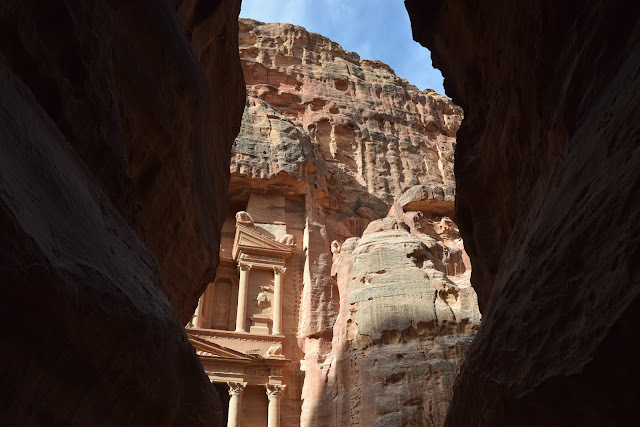 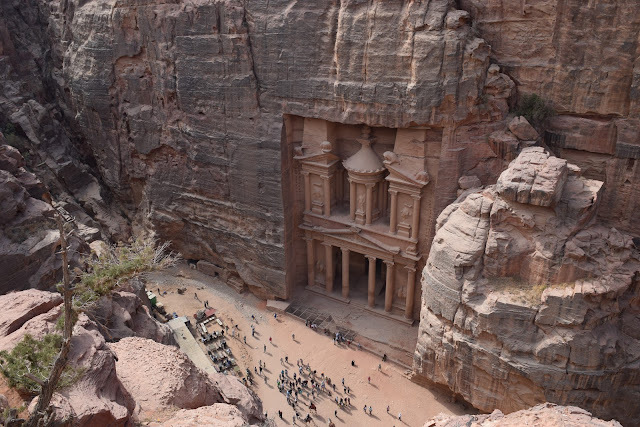 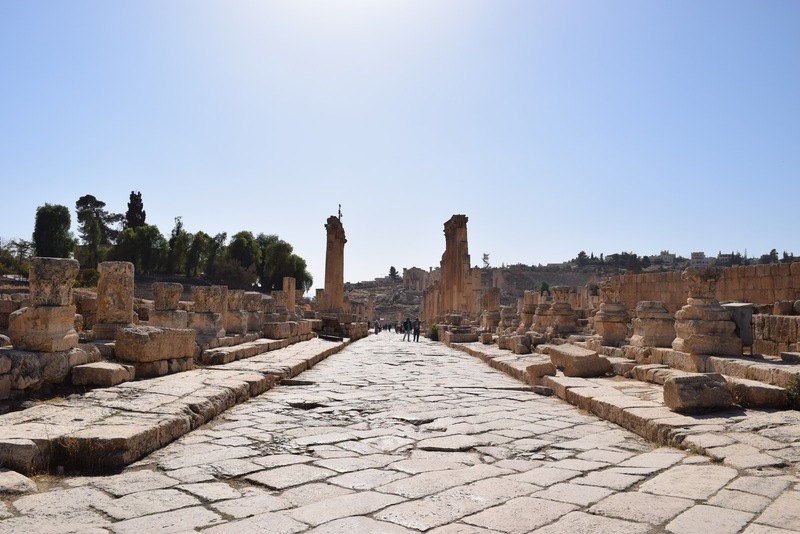 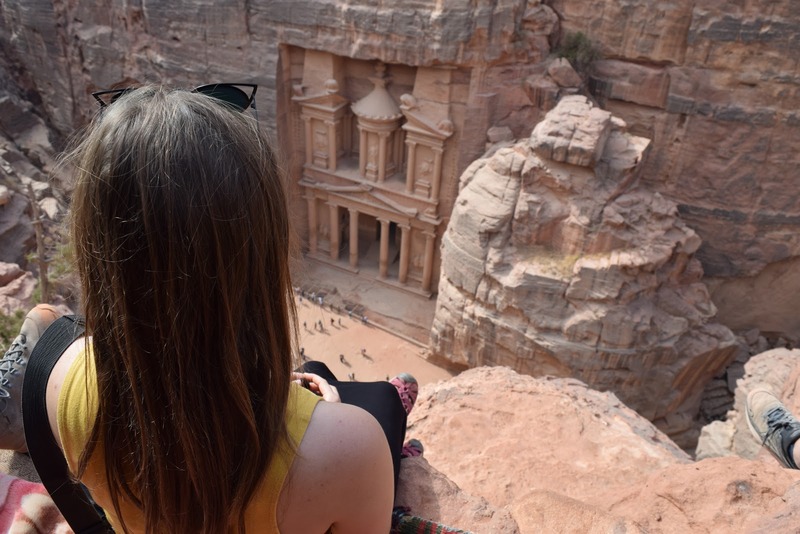 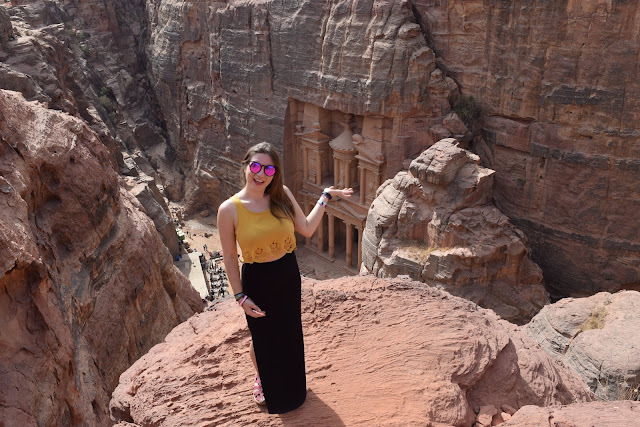 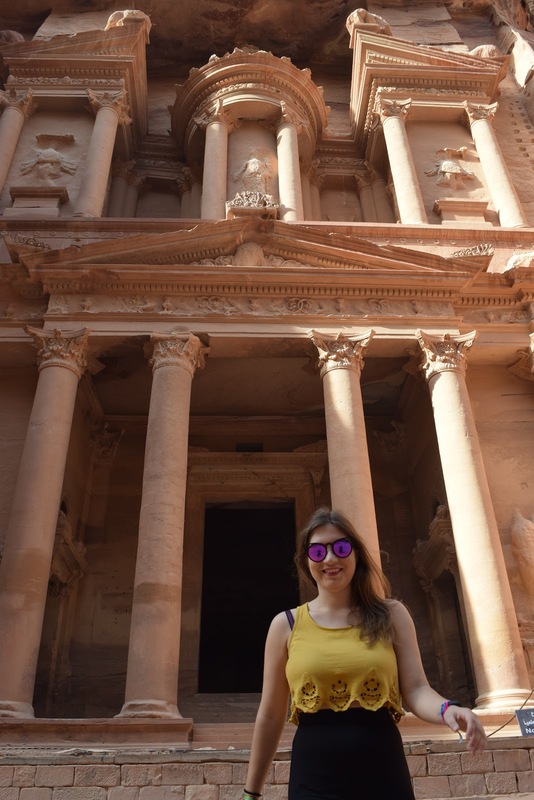 Lots of people want to visit Jordan to see Petra - one of the 'new' seven wonders of the world - and we can understand why it's one of the most incredible places we've ever been. 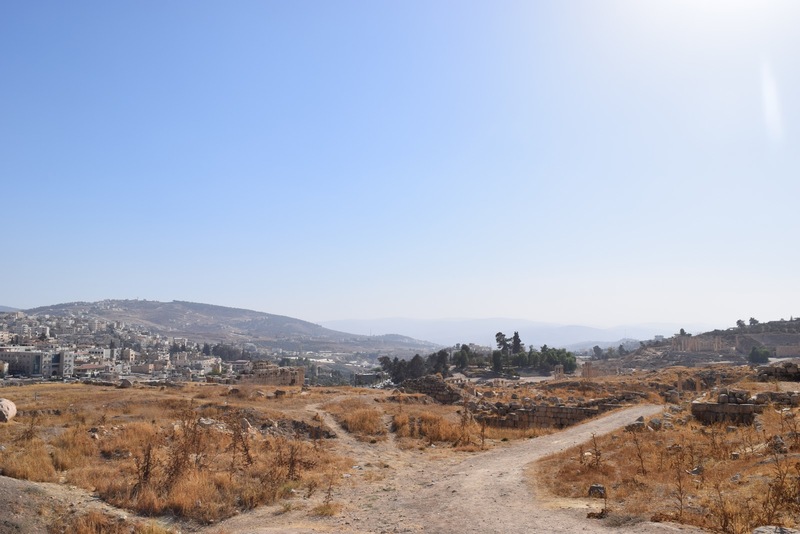 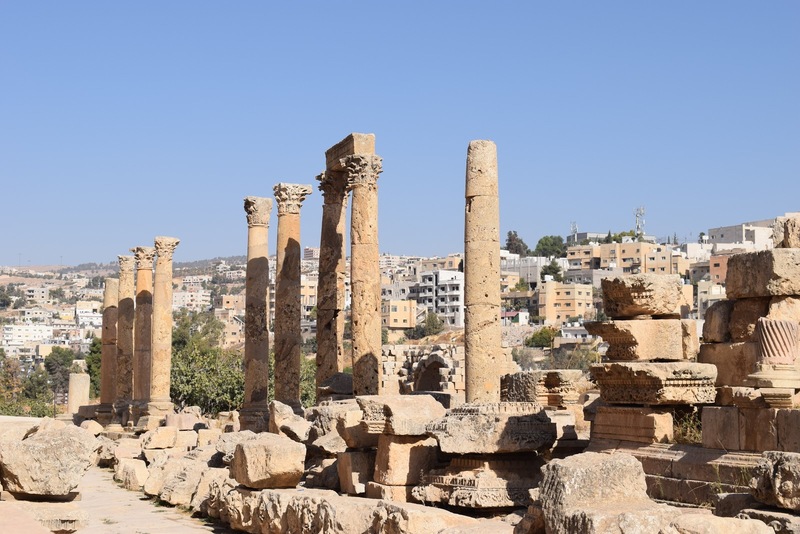 But beautiful Jordan is so much more than just Petra - it's ancient Roman ruins at Jerash, it's exciting cities like Amman, and most of all it's its happy, friendly people. 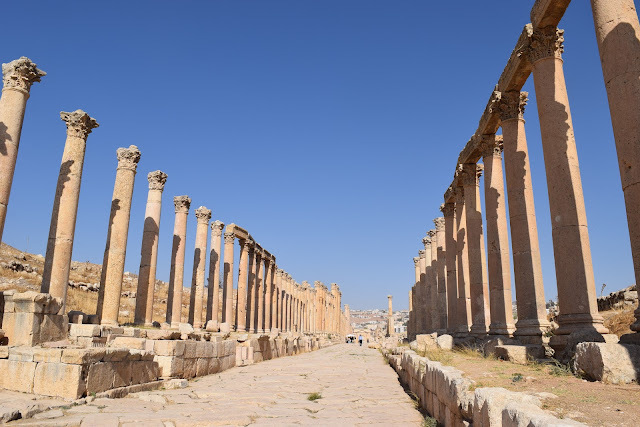 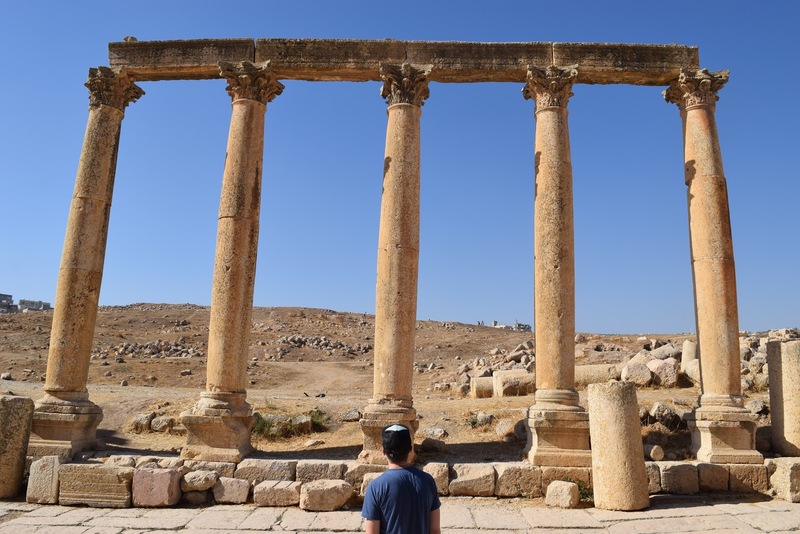 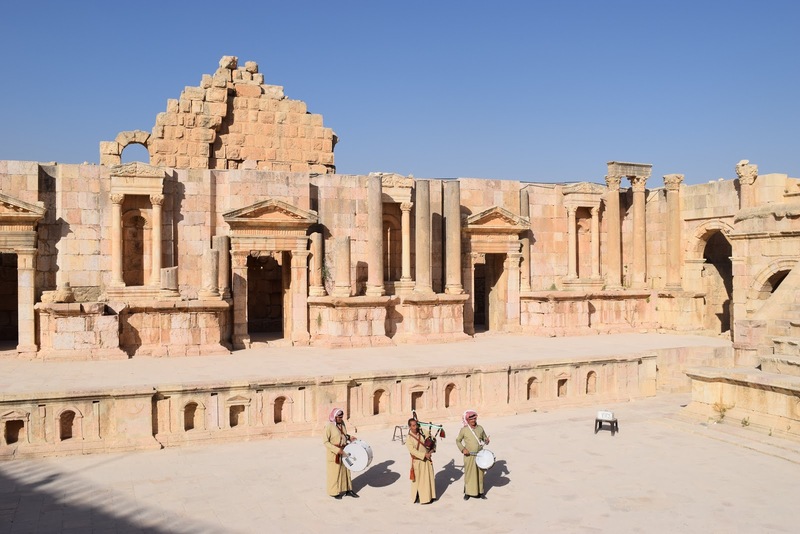 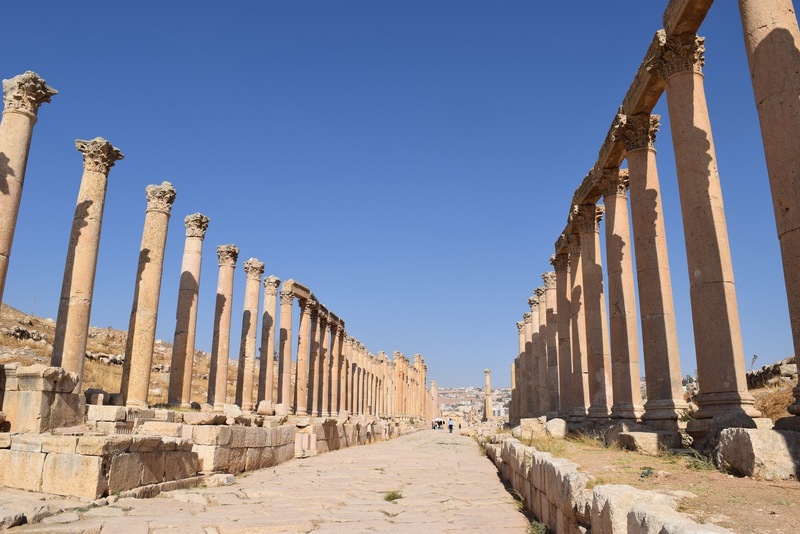 Jerash is a city in Jordan, located just 30 miles north of Jordan's capital - Amman. It's been inhabited since the Bronze Age! 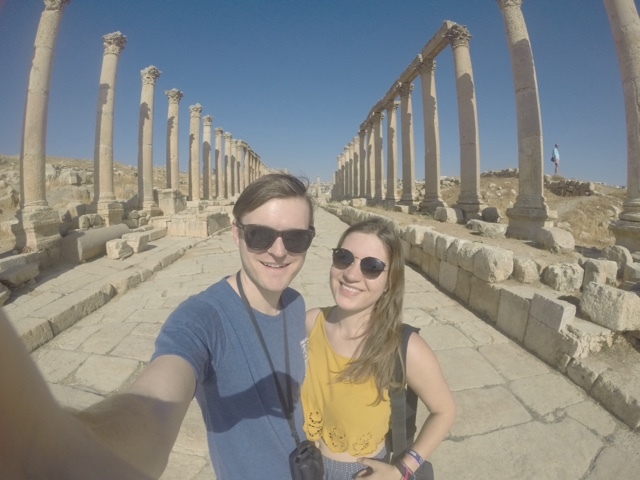 It's absolutely covered in Ancient Roman Ruins. 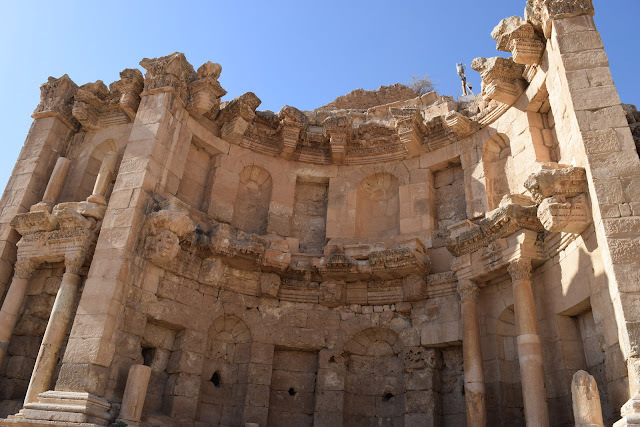 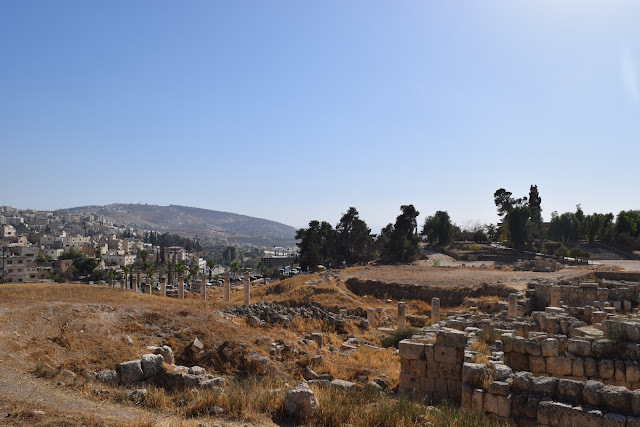 But there's so much more than that, you can easily spend an afternoon at Gerasa, wandering around and soaking up the history. 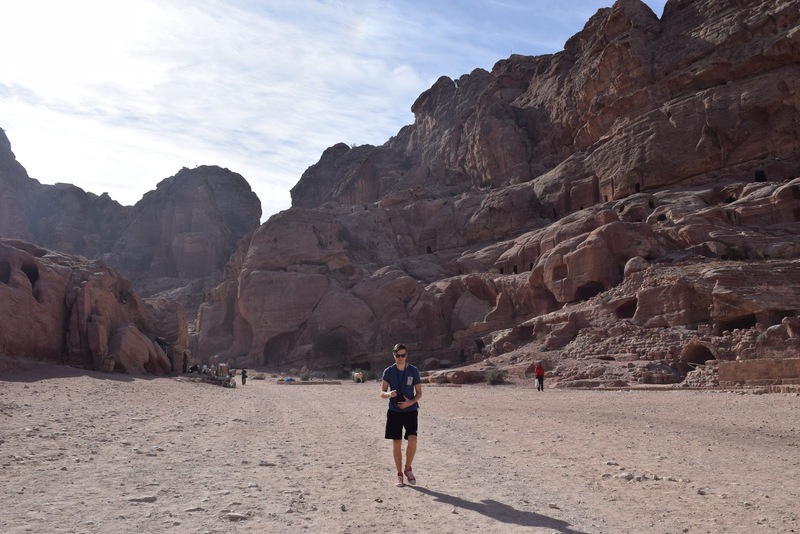 Just be sure to bring water with you! 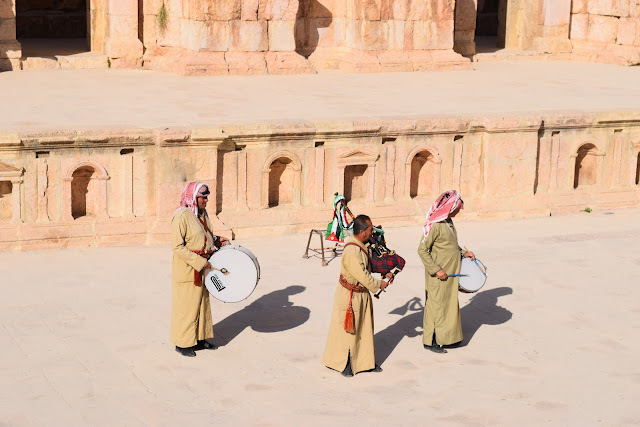 Wandering around the Gerasa, we were lucky enough to come across some Jordanians in traditional garb playing traditional music. Watching them play in the ancient ruins really was spectacular. 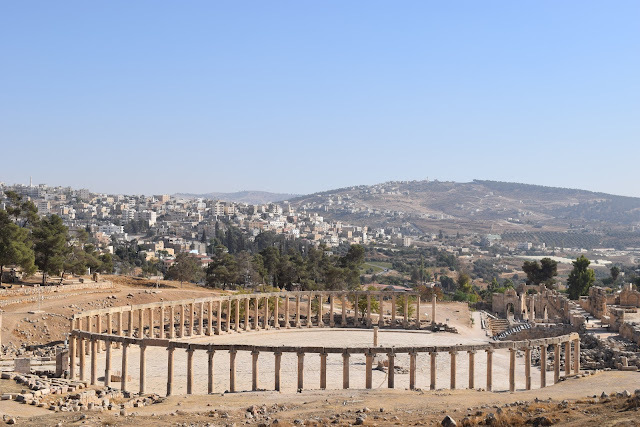 Jerash is more than worth a look round, it's more impressive than many Roman/Greek sites that we've seen in Italy/Greece themselves. 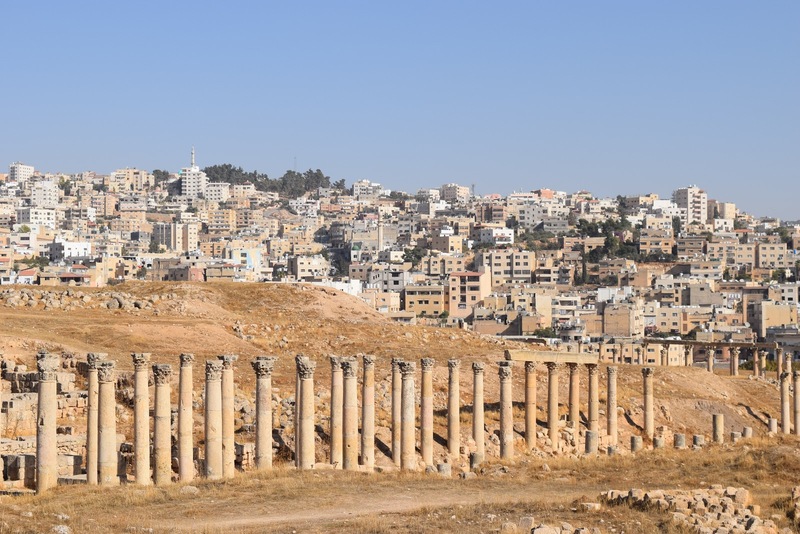 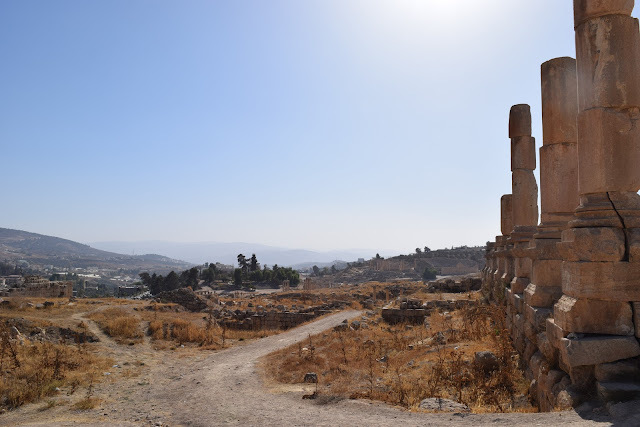 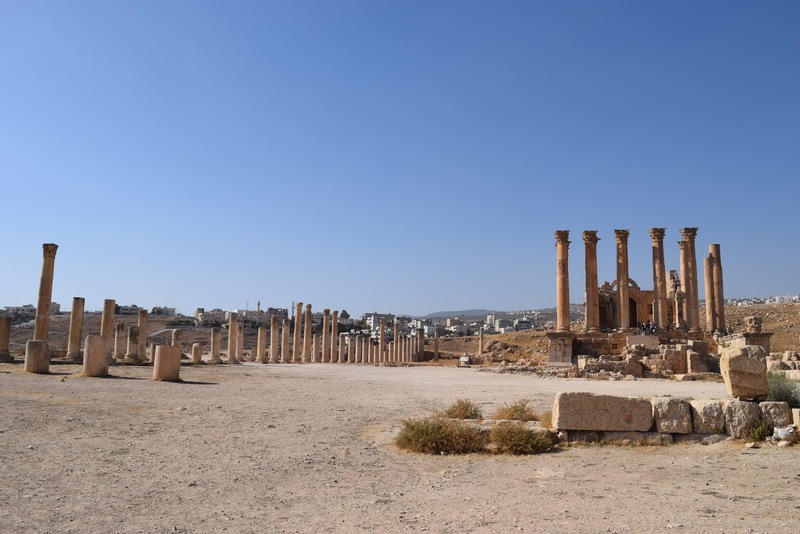 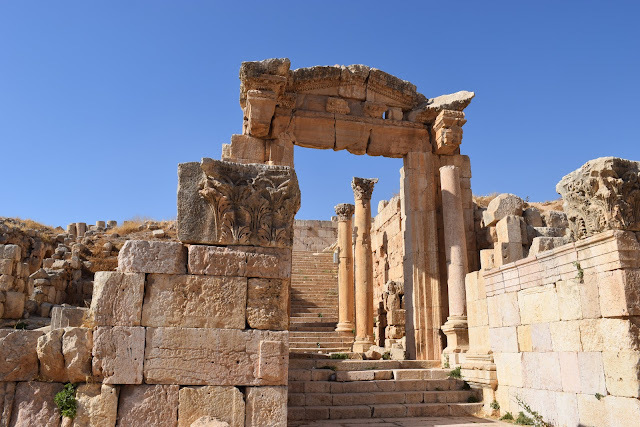 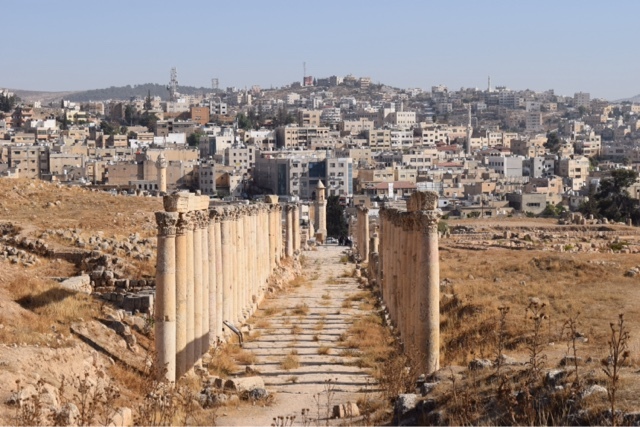 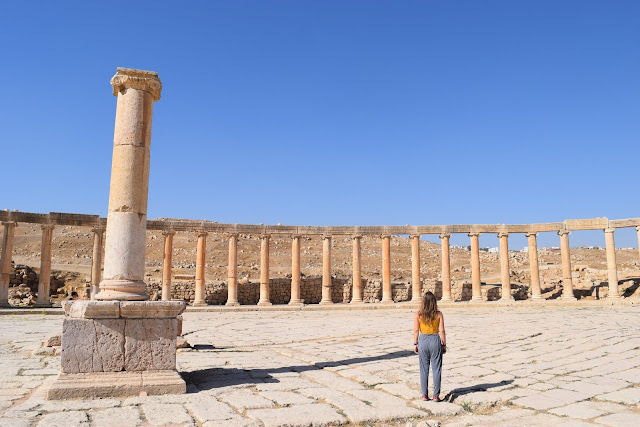 Amman is the capital of Jordan, and it too has beautiful ancient ruins. And it has more - 4 million of Jordan's 12 million* population live in Amman. 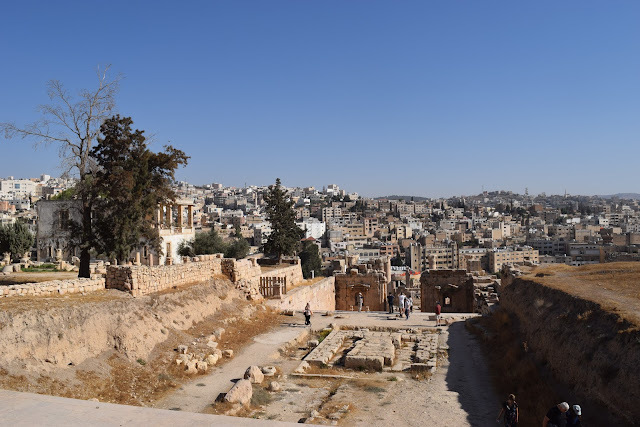 This is a city that's exciting and interesting. 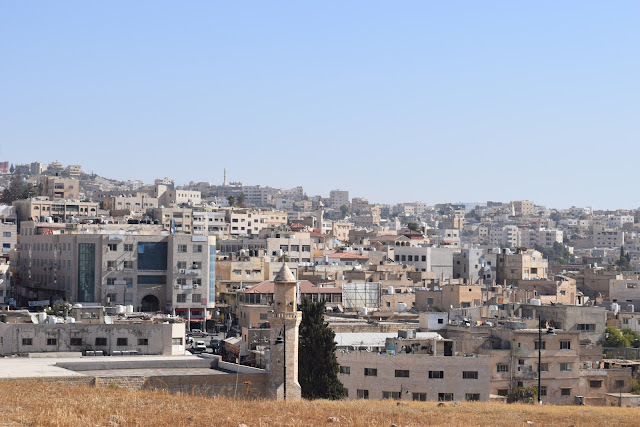 *I want to tell you, of Jordan's 12 million people, 2 million of them are refugees - 3/4 from Syria and 1/4 from Iraq. I personally think it's admirable that they've looked after so many people of the world like this. 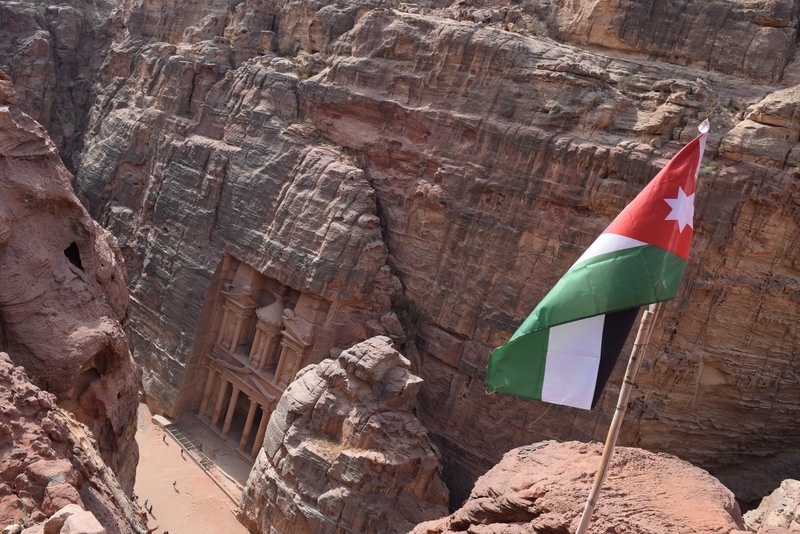 Especially when you consider that Jordan is not a rich country - far from it - there is no oil in Jordan and it's the 10th worst country in the world for water. 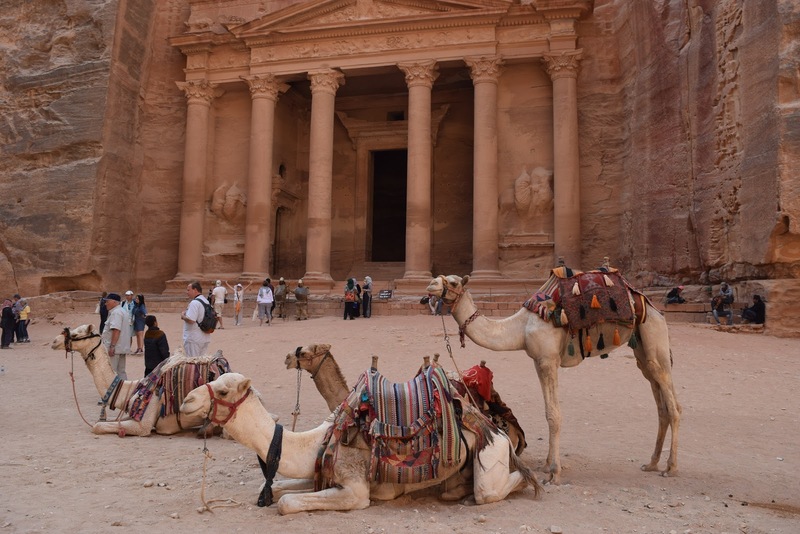 The people of Jordan are on a water ration and are only supplied with water once a week. 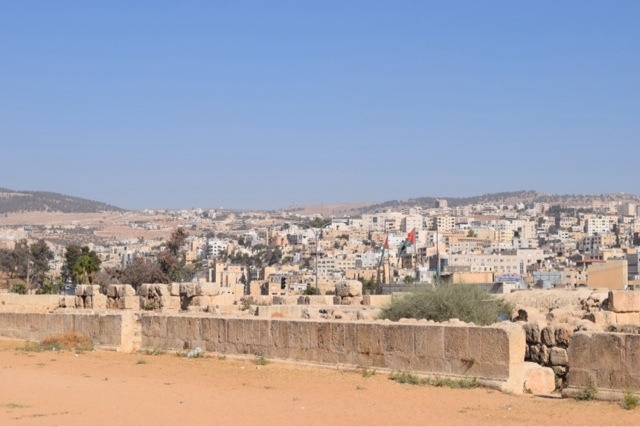 They then store this water in boxes on their roofs which are susceptible to being blown open by the wind and filled with bugs and worse nasties - do not drink the tap water in Jordan! Jordan is lucky (or unlucky?) 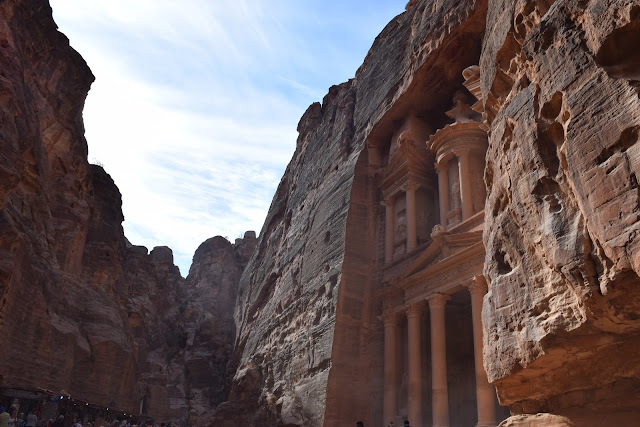 to have a good relationship with the USA - they receive a lot of aid including wheat from them. 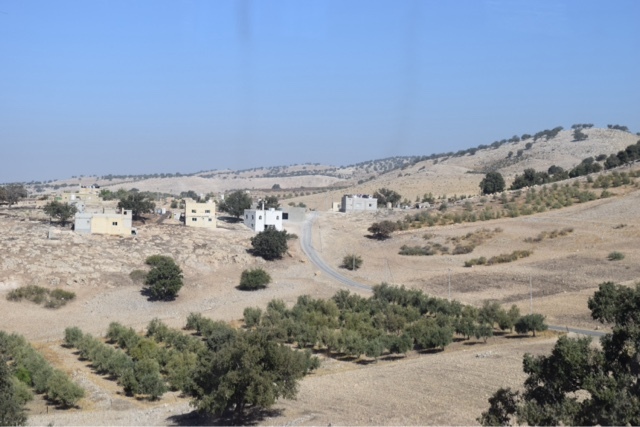 Despite their poor water situation, Jordan has a relatively good health care system - there is a medical centre in every town available for all Jordanians. 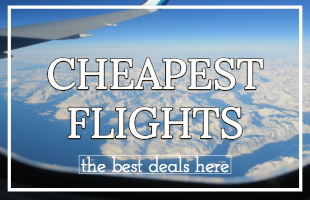 If they are between 6 and 65 they pay just 30% of the medical bill. 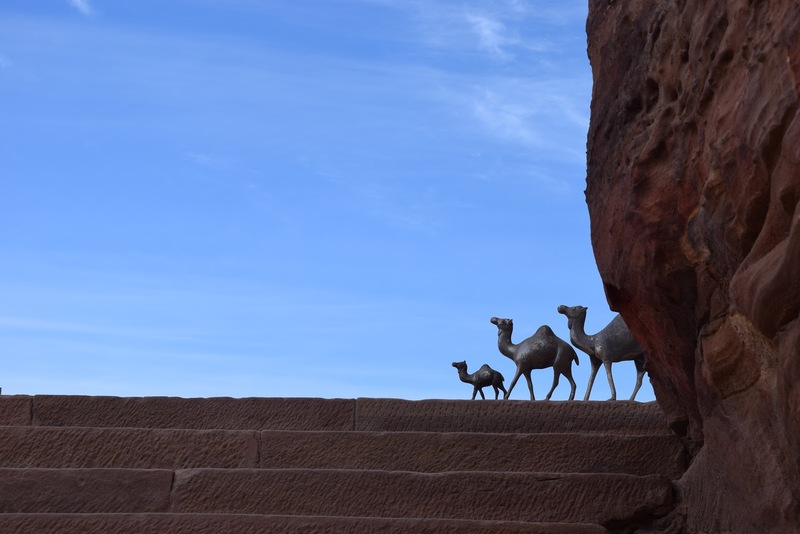 Everyone else (i.e. 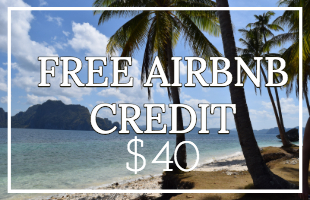 younger than 6, older than 65) pays nothing. 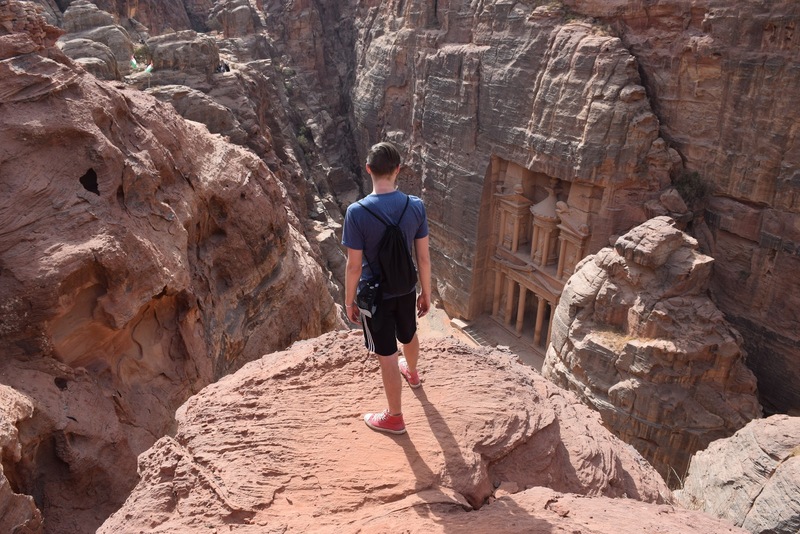 90% of Jordan is Muslim and the other 10% is Christian. Our Muslim guide said that there are very good relations between the Muslims and the Christians in Jordan - they respect each other's important festivals etc, the only real difference they have is that the Christians own all the liquor stores/factories. 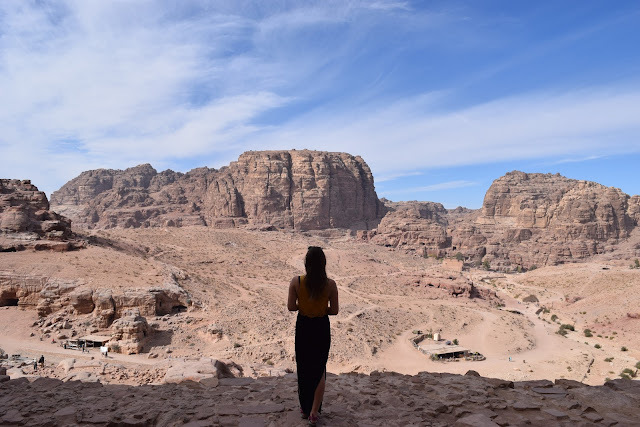 To make sure that we reached Petra nice and early the next morning (and to make sure we had a magical, unforgettable night) we stayed at Seven Wonders Bedouin Camp - I'll tell you, after a day of sightseeing and driving across Jordan, we were ready for some rest and relaxation. 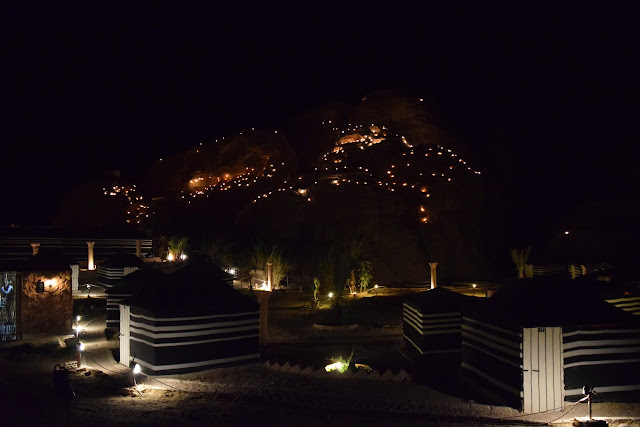 Seven Wonders Bedouin Camp is the perfect mixture of relaxation and excitement - authenticity and home comforts. For example, they do have hot water, but only in the evening. 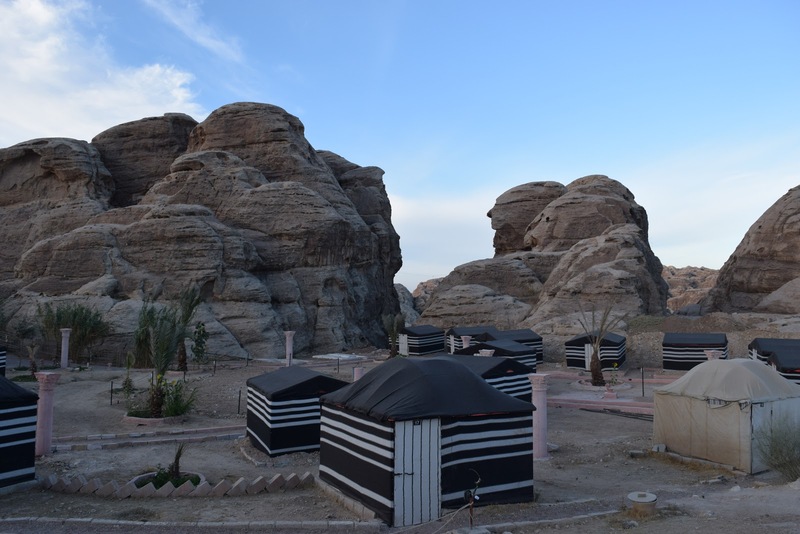 They serve a traditional dinner and breakfast, and they invite you to share shish-a and stories around the campfire and look at the stars - amazing!! 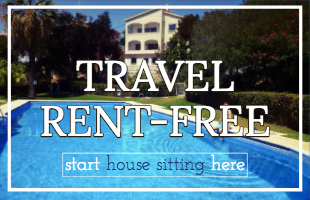 With gorgeous, mountainous views all around. 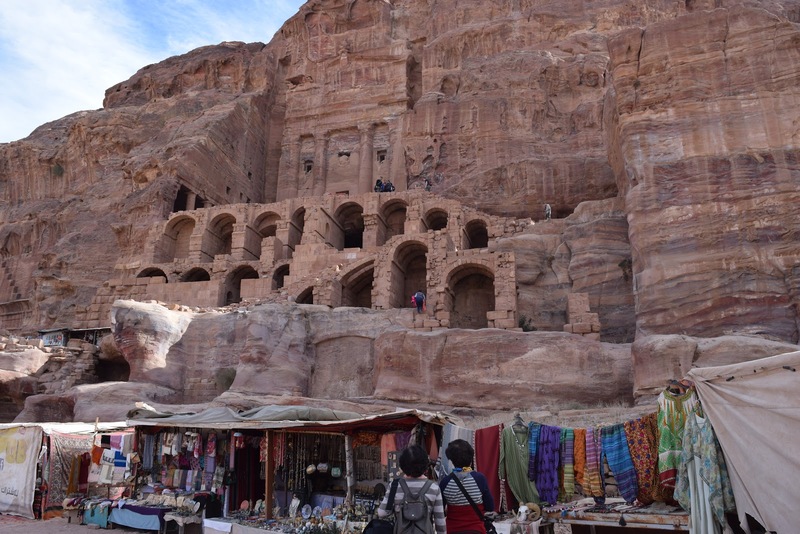 *At Petra, there are people selling trinkets, and often kids were trying to sell us things too. 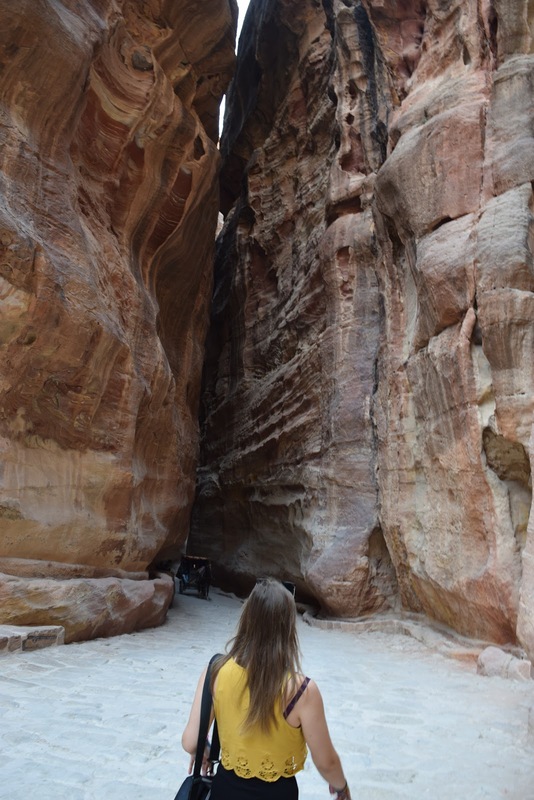 They were the cutest kids on the planet, but child labour is child labour (not cool). 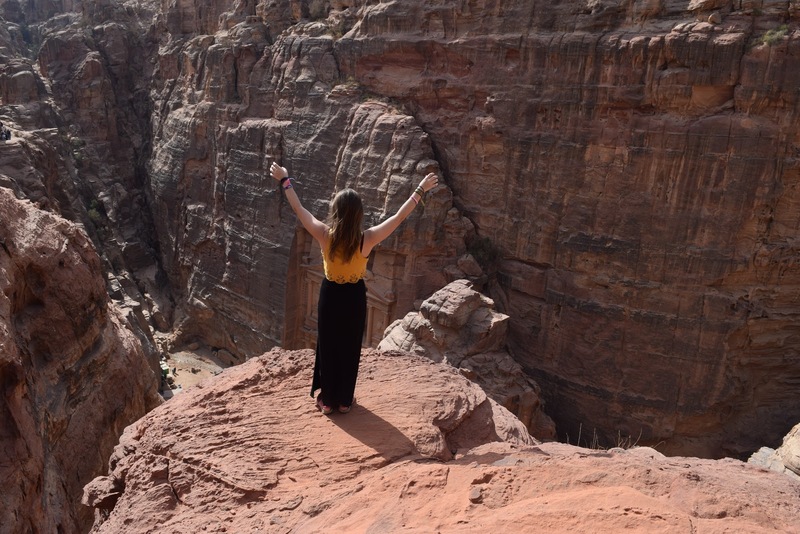 We've always been told it's best not to support this by buying from them or giving them anything :( I gave them all my bracelets because I am a push over.. 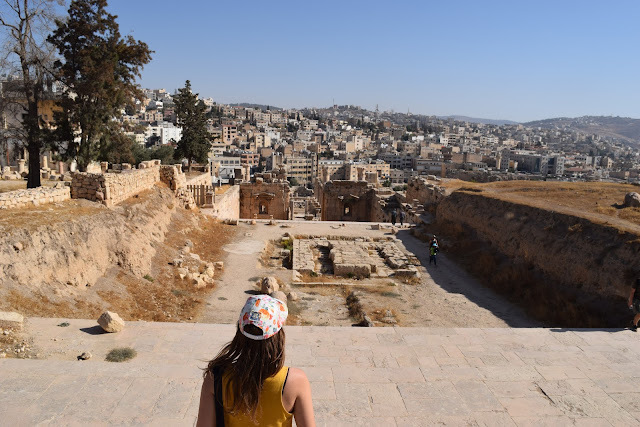 It's not out of poverty that these kids work - they actually earn more than a Jordanian national average salary - they work because of habit, family organisation, because they hate school, and because of a lack of other things to do. Anyway, if you actually want to help consider donating to reputable charities like Save The Children make sure if you do buy souvenirs, it's from reputable sellers. 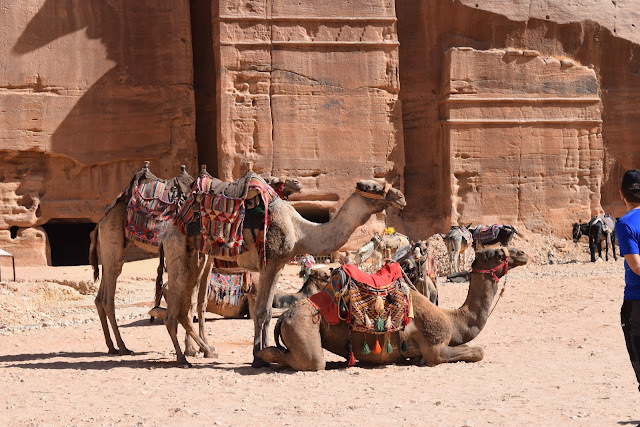 *The other unethical problem with Petra is the animal riding - you can ride a donkey, a horse, a horse-drawn carriage or even a camel at Petra, for veryyy reasonable prices. 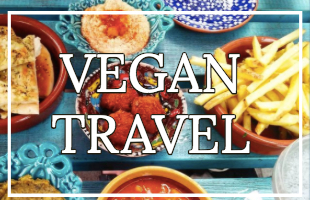 We don't agree with any kind of animal exploitation, and whilst these animals were far from the worst treated animals we've seen around the world (most of them looked pretty healthy), we still saw them being whipped. 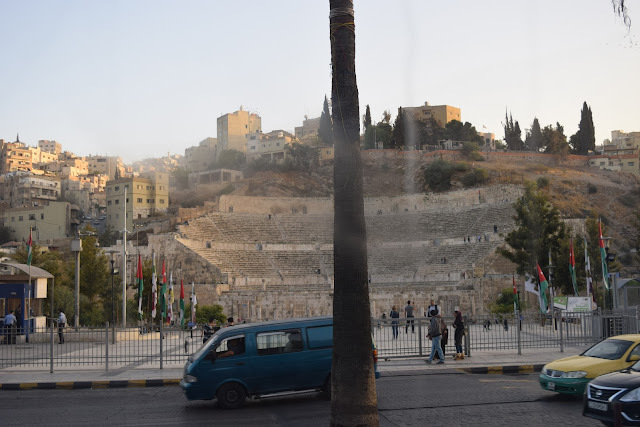 Not cool!! 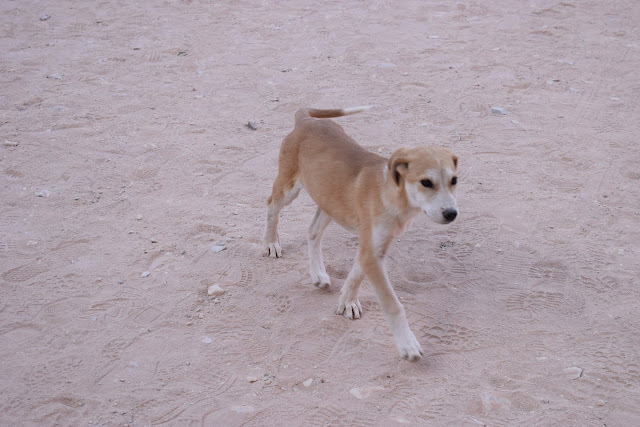 If you ride them, you are supporting animal cruelty, end of. 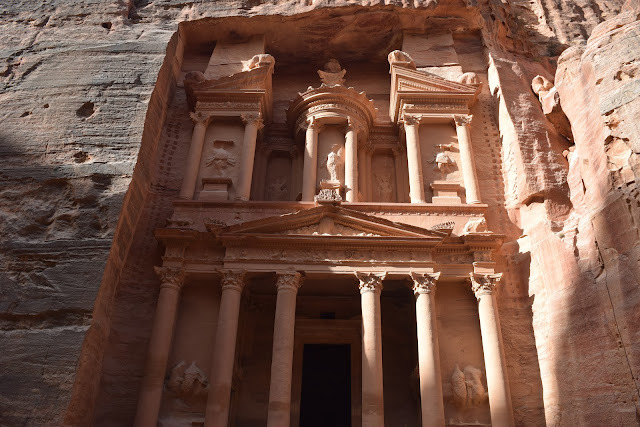 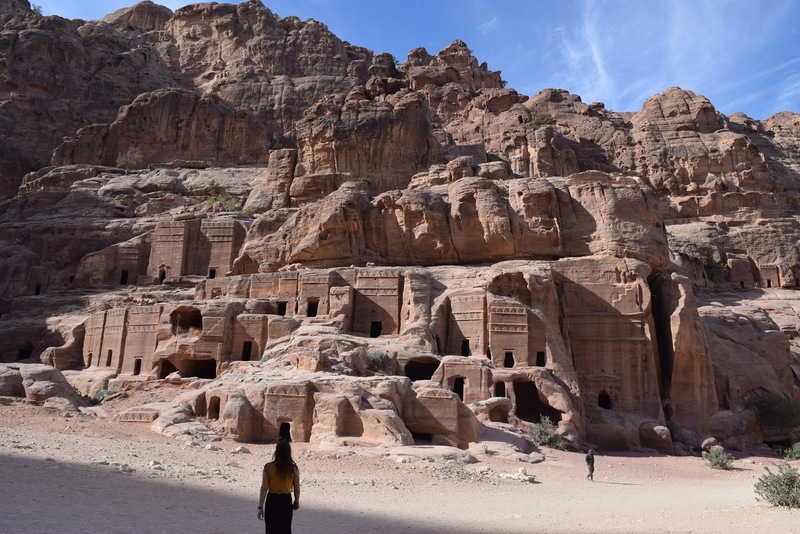 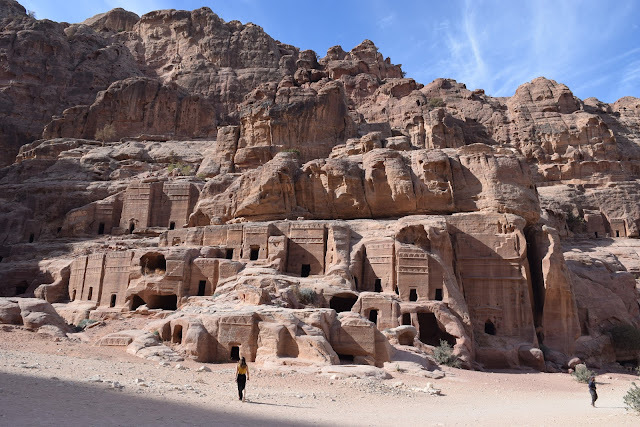 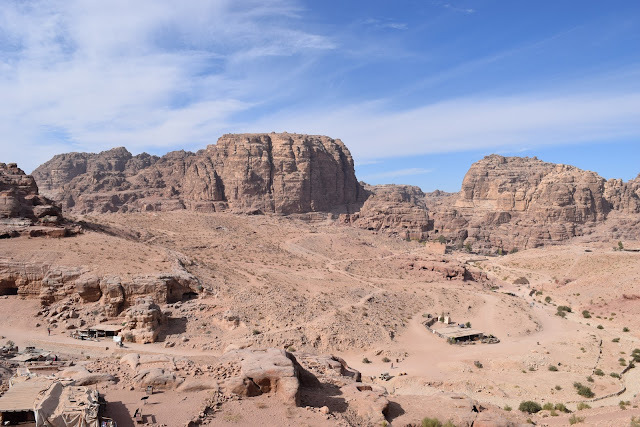 But on a positive note, there used to be a lot of people that actually lived in Petra - and when it became a UNESCO world heritage site + one of the new seven wonders of the world, the people were asked to move to a village nearby built for them. But the people didn't want to move out and risk losing business at Petra. So, in the end, it was settled that they'd move out, and would be the only ones allowed to make business in Petra. 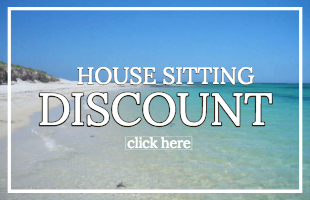 So that's nice. 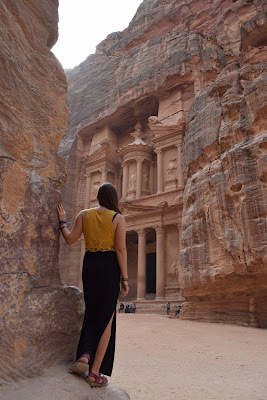 One last thing, Petra is surprisingly comfortable to spend the day at. 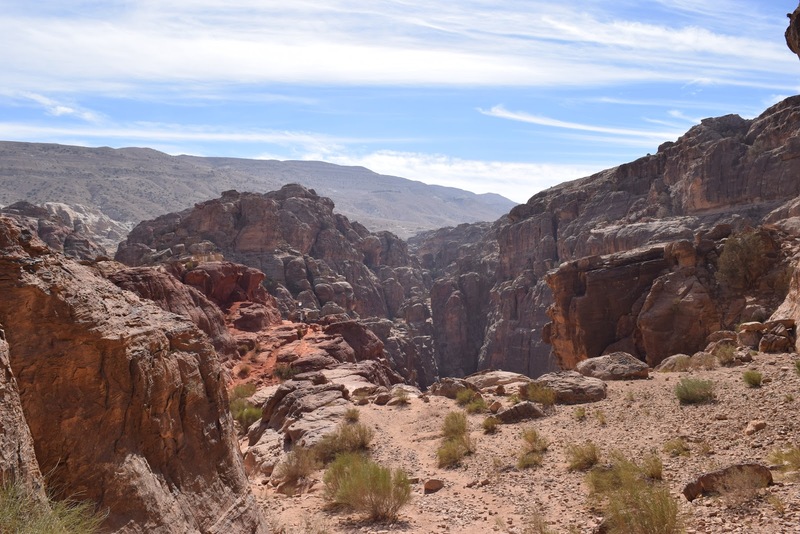 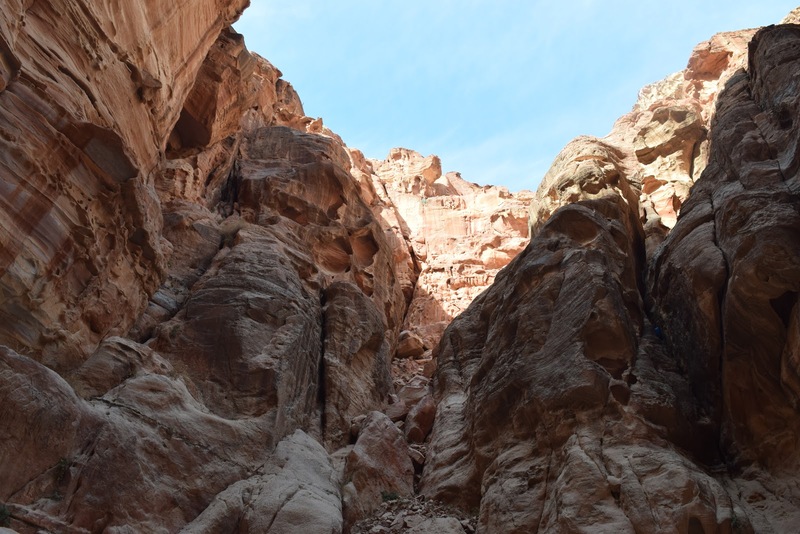 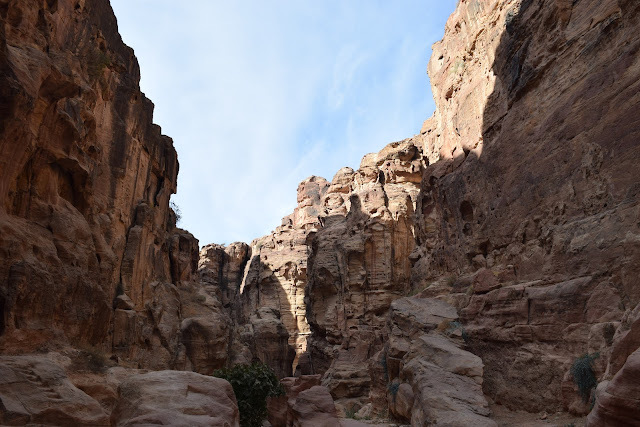 The temperatures in Jordan are sweltering pretty much all year round, but in Petra the mountains and rocks provide shade and neither of us got sunburnt/stroke - yey! 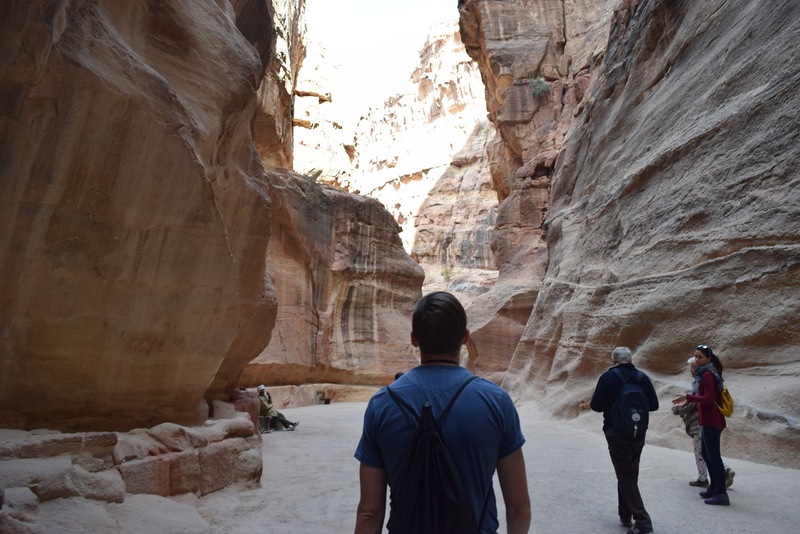 Disclaimer, Travelling Weasels were invited by Abraham Tours and Bedouin Camp but as always all opinions remain our own, we would never recommend something we haven't personally tried and loved because that would be totally uncool man.